Commercial security lighting deters crime and produces a more secure atmosphere, according to a U.S. Department of Justice (DOJ) report. You’ve worked hard to build your business. You’ve put in the long hours: the blood, sweat, and tears. And in an instance, you can see all of your hard work destroyed. 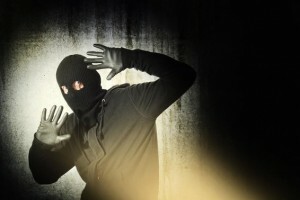 In America, a burglary occurs every 10 seconds. The chances of being a victim of a property crime in Maryland alone are 1 in 38. These crimes include burglary, larceny, theft, motor vehicle theft, arson, shoplifting, and vandalism. It’s important to do everything in your power to protect your hard work – your business. You want to make sure it is safe and secure so you can sleep easy. And commercial security lighting is a great place to start. TriStar Electric has installed thousands of commercial security lighting systems throughout Maryland, Washington DC, Pennsylvania, and Northern Virginia. Our work encompasses numerous different industries, including retail stores, restaurants, corporate office buildings, and a variety of commercial enterprises. When we first meet with you and inspect your commercial property, our goal is to determine your lighting needs and craft an accurate proposal that fits your budget. Our electricians can recommend a variety of different lighting options and help design a security lighting system that will help you rest easy knowing your business is well-protected. Installation of your commercial security lighting system will be taken care of by our electricians. They will show up on the scheduled day and install the lighting fixtures, along with any necessary wiring. And when the work is done, your electrician will lead you through a final walkthrough to ensure you are not only 100% satisfied, but also fully educated on the work we have performed. If you are interested in learning more about Commercial Security Lighting Services in Maryland, please contact TriStar Electric by calling 410-799-5791 or 301-384-8880. Our electricians will answer your questions and provide you with expert advice. This entry was posted on Friday, May 8th, 2015 at 5:58 pm. Both comments and pings are currently closed.